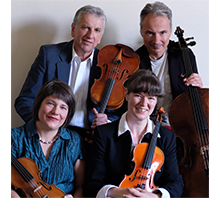 The Pražák Quartet—one of today´s leading international chamber music ensembles—was established in 1972 while its members were students at the Prague Conservatory. 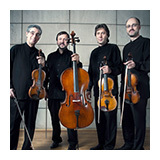 Since then, the quartet has gained attention for its place in the unique Czech quartet tradition, and for its musical virtuosity. The 1974 Czech Music Year saw the Pražák Quartet receive the first prize at the Prague Conservatory Chamber Music Competition. Within twelve months, their international career had been launched with a performance at the 1975 Prague Spring Music Festival. In 1978 the quartet took the first prize at the Evian String Quartet Competition as well as a special prize awarded by Radio France for the best recording during the competition. Additional prizes were awarded to them at various other Czech competitions. 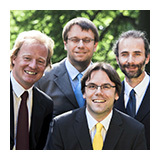 The Pražák Quartet has been at home on music stages worldwide for over thirty years. 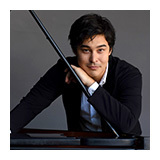 They are regular guests at the major European musical capitals—Prague, Paris, Amsterdam, Brussels, Milan, Madrid, London, Berlin, Munich, etc.—and have been invited to participate at numerous international festivals, where they have collaborated with such artists as Menahem Pressler, Jon Nakamatsu, Cynthia Phelps, Roberto Diaz, Josef Suk, and Sharon Kam. The quartet has toured extensively in North America, having performed in New York (Carnegie Hall, Lincoln Center, 92nd St. Y), Los Angeles, San Francisco, Dallas, Houston, Washington, Philadelphia, Miami, St. Louis, New Orleans, Berkeley, Cleveland, Tucson, Denver, Buffalo, Vancouver, Toronto, and Montreal. During the 2018-19 season, they will return to the United States on a special tour with fellow Czechs, the Zemlinsky Quartet. 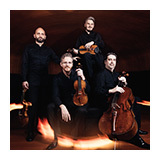 The Pražák Quartet records exclusively for Praga/Harmonia Mundi which, to date, has released more than 30 award-winning CDs. 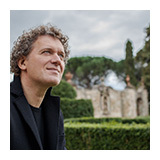 In addition to numerous radio recordings in France, Germany, the Netherlands, and the Czech Republic, the Pražák Quartet has also made recordings for Supraphon, Panton, Orfeo, Ottavo, Bonton, and Nuova Era. In 2015, Jana Vonášková joined the group as first violinist, succeeding Pavel Hula. 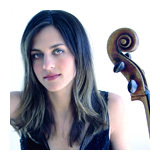 She is a graduate of the Royal College of Music in London, and was a member of the Smetana Trio for nine years. She appears often as a soloist and in recital throughout Europe. Second violinist Vlastimil Holek has been with the Pražák Quartet for nearly four decades, and also performs independently. 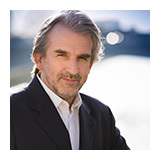 Violist Josef Kluson is a founding member of the quartet, and gives masterclasses worldwide. 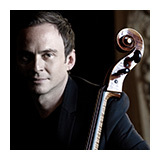 Cellist Michal Kanka joined the group in 1986. 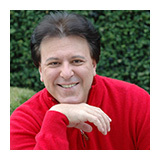 In addition to his work with the quartet, Mr. Kanka performs and records as a soloist. 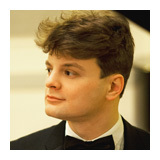 Messrs Holek, Kluson, and Kanka are graduates of the Prague Conservatory and the Academy of Fine Arts. 2017 Please discard any previously dated materials.